I have the blessing of raising two girls and two boys. They each come with their own personality, strengths, and weaknesses. 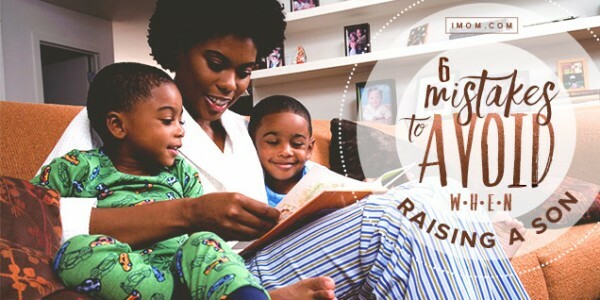 While I feel confident in raising my girls, most likely because I am one, it’s my boys that my heart aches for and where I feel ill-equipped. I perceive there is so much pressure on boys to fit a certain mold of masculinity, intelligence, and leadership. So how can I raise my boys to be themselves, while equipping them to fight against the pressures of who culture tells them to be? Teach them to be servant leaders! I learned this concept in college, and presently work within a community-based, not-for-profit healthcare system that practices it. Here’s how Robert Greenleaf defined this leadership concept: A servant-leader focuses primarily on the growth and well-being of people and the communities to which they belong…The servant-leader shares power, puts the needs of others first and helps people develop and perform as highly as possible. In teaching our sons to become servant leaders, we are encouraging them to explore their natural giftings, to discover their role in their communities (friends, family, society), and ultimately establish security in their identity! In an instant self-gratifying world, serving others is seen as weakness and sometimes unmasculine. We need to help our boys understand that being a gentleman is being a leader: it is making the conscious choice to put others before themselves. This means teaching our boys to open doors, let others go ahead in line, offer to carry the heavier items for their family and friends, giving up their seat, and to be respectful of the women in their life. Teach our boys that we all have been created with strengths and weaknesses like puzzle pieces designed to fit together making us stronger. We are not made to do things alone; we are made to do them in community. However, there is a distortion in thinking that makes males believe that it is an impairment to have weaknesses and that they shouldn’t rely on others. Read about more lies teen boys believe. We need to assist our boys in learning there is no shame in the way we have been designed, which will transform the way they view others and themselves. Popularity and leadership are not the same! There’s a big difference between being popular & being a leader: One makes you respected & fulfilled, the other makes you empty & alone! I love the leadership quote by John Quincy Adams: “If your actions inspire others to dream more, learn more, do more and become more, you are a leader.” Being a leader means you have earned respect by your actions and are inspiring others to live well. [Tweet This] Being popular means your value is found in your present social status which can change in an instant via a tweet or post. This type of popularity creates insecurity, desperation, and loneliness. Teaching our boys to use their natural strengths to serve others creates in them a sense of confidence and provides them a role to fulfill in their world. It develops in them a sense of pride which is sustainable and ultimately satisfying. 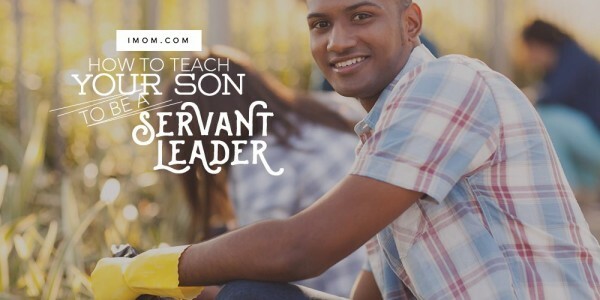 What are your ideas on raising your son to be a servant leader?